Children having a go at outdoor golf putting at the Natadola Bay Championship Golf Course. The Fiji International is fast approaching and offers plenty of activities for the whole family so make sure you visit Natadola Bay Championship Golf Course from 15-18 October! Some of the best golfers in the world including American Matt Kuchar are teeing it up in the Fiji International this year and Natadola Bay Championship Golf Course offers some perfect vantage points for you to watch all the action. Whether you choose to walk the entire course with your favourite player, sit next to the green and watch the players attempt to make birdie putts or stand on the tee and marvel at how far they hit the ball, you will be enthralled by the golfing action! If they Tour Professionals inspire you to pick up a golf club for the first time or the first time in a long time, there is no better place to do it than at the Fiji International. PGA Professional golfers will be on hand all week at Natadola Bay Championship Golf Course to teach you the best technique to make that little white ball fly through the air. 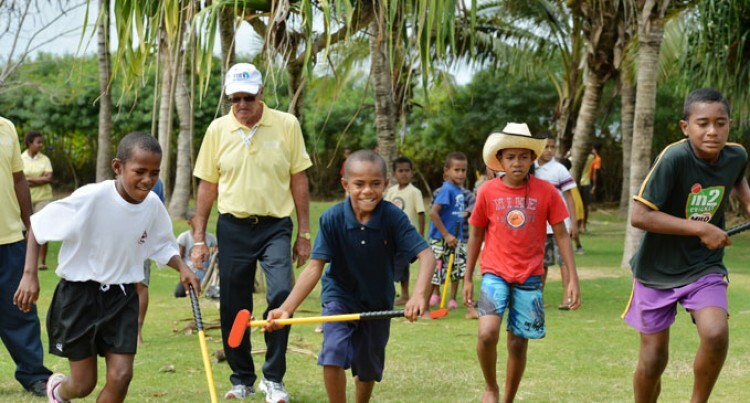 Not just for adults, clinics for kids will also be running through the week so make sure you bring them along, who knows they might be the next famous Fijian golfer! Tour Professionals are friendly guys and love meeting golf fans after their rounds of golf! Spend some time around the clubhouse and you are sure to bump into a few and don’t forget to bring a pen they will be more than happy to sign an autograph or even snap a quick selfie on your phone or camera. Love golf and want to be a bigger part of the Fiji International action? Then why not volunteer at the tournament. It doesn’t matter what your experience, there is a volunteer role to suit everyone. Volunteering offers the chance to get inside the ropes at a PGA Tour of Australasia tournament and be involved in the logistical side of an international event. Plus, you might even get the chance to rub shoulders with the Pros! Volunteers may find themselves assigned to various duties that are crucial to the overall running of the tournament, including ball spotters, scoreboard attendants, walking scorers, courtesy car drivers and driving range attendants. Fiji’s newest golf fans just also happen to be some of Fiji Rugby 7’s best players! Captain Osea Kolinisau and Fly Half Emosi Mulevoro as well as some of their friends will be attending the Fiji International, so why not come along and have your photo taken with them and perhaps even a Professional golfer too? The tournament village at the Fiji International is the perfect place to enjoy the sunshine with your family. With plenty of food and drink options on offer from our sponsors there is something to suit every appetite. Even better the tournament village is located right alongside the practice putting green so you can watch the players warm-up for their round of golf. It’s the Fiji International’s night of nights and the Official Welcome Dinner allows you the opportunity to dine with the stars. Hosted at the stunning InterContinental Golf Resort & Spa you will enjoy a delicious meal and hear from the top players themselves during the evening’s proceedings. Celebrate the weekend arriving at the Fiji International Cut Party at Cardos Restaurant Denerau Marina. A night of frivolity, dancing and celebrating the Cut Party will be the hottest ticket in town for a Friday night. While some of the players will be getting a restful night’s sleep preparing for the third round, those that missed the cut will be enjoying the evening knowing they have the weekend free to explore Fiji. On a nice sunny day there is nothing better than relaxing outdoors with your friends so why not come to the Fiji International and watch some golf at the same time! Sounds like the perfect way to spend the weekend. Looking for a more glamorous way to watch the golf than walking around the course? Then the Natadola Beach Oasis is the place for you! Located on one of the signature holes, you can enjoy all the excitement of the stunning Par 3, 4th hole, while socialising on the beach. Golf doesn’t get any better than that. Or if watching the final drama of the tournament unfold on the 18th is more your style then the Paradise Club is where you should be headed. Enjoy all the action of the golf from the Paradise Club overlooking the 18th from the Clubhouse with breathtaking views of Natadola Bay Championship Course. Take your pick of veranda lounges, socialise in the greenside bure, or sit down for a meal inside.